O'Reilly Media began the GNN project in May 1993 & officially launched it in August 1993. It provided an online directory based upon the Whole Internet User's Guide and Catalog & it was also the first web site to contain clickable advertisements. Their first advertiser was a law firm named Heller, Ehrman, White and McAuliffe. GNN was acquired by AOL in 1995 & shuttered in 1996. On September 26, 2014, Yahoo! announced they would close the Yahoo! Directory at the end of 2014, though it was transitioned to being part of Yahoo! Small Business and remained online at business.yahoo.com. DMOZ closed on March 17, 2017. When the directory shut down it had 3,861,210 active listings in 90 languages. Numerous online mirrors of the directory have been published at DMOZtools.net, ODP.org & other locations. Google offers a librarian newsletter to help librarians and other web editors help make information more accessible and categorize the web. The second Google librarian newsletter came from Karen G. Schneider, who was the director of Librarians' Internet Index. LII was a high quality directory aimed at librarians. Her article explains what she and her staff look for when looking for quality credible resources to add to the LII. Most other directories, especially those which have a paid inclusion option, hold lower standards than selected limited catalogs created by librarians. The LII was later merged into the Internet Public Library, which was another well kept directory of websites that went into archive-only mode after 20 years of service. Business.com was a high-profile purchase for local directory company R.H. Donnelley. Unfortunately that $345 milion deal on July 26, 2007 only accelerated the bankruptcy of R.H. Donnelley, which let them to sell the Business.com directory to Resource Nation in February of 2011. The Google Panda algorithm hit Business.com, which made it virtually impossible for the site to maintain a strong cashflow based on organic search rankings. Business.com was once again sold in June of 2016 to the Purch Group. Here is a great background video on the history of search. Google shut down their financial services comparison search tool Google Comparison on March 23, 2016. Google has continued to grow their Product Listing Ads, local inventory ads & hotel ads while shedding many other vertical search functions. When Google shut down their financial comparison search tool they shifted from showing a maximum of 3 ads at the top of the search results to showing a maximum of 4 ads above the organic search results. By 2015 mobile accounted for more than half of digital ad spending. The online ad market is growing increasingly consolidated with Google & Facebook eating almost all of the growth. Google's dominance over desktop search is only increased on mobile, as Google pays Apple to be the default search provider in iOS & Android's secret contracts bundled Google as the default search option. Google settled an Android antitrust case in Russia & is being investigated in Europe. Due to the increasing importance of mobile Google shifted to showing search results in a single column on desktop computers, with the exceptions of sometimes showing knowledge graph cards or graphic Product Listing Ads in the rightt column of the desktop search results. Ad blocking has become widespread on both mobile devices & desktop computers. However Google pays AdBlock Plus to allow ads to show on Google.com & Facebook can bypass ad blocking with inline ads in their mobile application. Most other publishers have had much less luck in dealing with the rise of ad blockers. As publishers have been starved for revenues, some publishers like Tronc have sacrificed user experience by embedding thousands of auto-playing videos in their articles. This in turn only accelerates the demand for ad blockers. Facebook & Google have been in a fight to increase their time on site on mobile devices. Facebook introduced Instant Articles which ports publisher articles into Facebook, however publishers struggled to monetize the exposure. Google launched a competing solution called Accelerated Mobile Pages (AMP) & publishers also struggled to monetize that audience. An additional factor which has stripped audience from publisher websites is the increasing number of featured snippets, knowledge graph results & interactive tools embedded directly in Google's search results. These features may extract the value of publisher's websites without sending them anything in return. And they have also caused issues when Google's algorthims chose to display factually incorrect answers. Both Google & Facebook are partly to blame for the decline of online publishing. As they defunded web publishers it encouraged more outrageous publishing behaviors. Another contributing factor to the decline of online publishing is how machine learning algorithms measure engagement and fold it back into ranking. People are more often to share or link to something which confirms their political ideology, while fairly neutral pieces that are not biased may have some analysis in them that almost everyone hates, which means they have a less loyal following & readers are less likely to share their work. That in turn makes the work less likely to be seen on social networks like Facebook or rank high in Google search results. Yahoo! launched another ad platform named Gemini in 2014, however they only gave it a small share of their overall search inventory & have relied heavily on Bing Ads for text ads and Google for Product Listing Ads in their search results. Windows 10 pushes Bing as a default search tool aggressively, which in turn boosts distribution for Bing search & Bing Ads. Older websites may be given more trust in relevancy algorithms than newer websites (just existing for a period of time is a signal of quality). 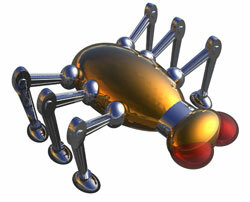 All major search engines use human editors to help review content quality and help improve their relevancy algorithms. Search engines may factor in user acceptance and other usage data to help determine if a site needs reviewed for editorial quality and to help determine if linkage data is legitimate. Navigational or branded search queries may be used as a key signal to authenticate if a site's link profile was manufactured or authentic. Sites which people repeatedly seek out by name are sites which generally provide a good user experience. Google has also heavily pushed giving away useful software, tools, and services like free maps, email, web browser & mobile phone OS which allow them to personalize search results based on the searcher's historical preferences. Matt Cutts, Google's former lead engineer in charge of search quality, regularly blogged about SEO and search. Google also has an official blog. Matt Cutts went on leave with Google in 2014 & officially resigned from the company at the end of 2016. In 2009 Google did an update named the "Vince" update, which placed weight on search query chains, and had the net effect of promoting larger branded websites. In 2012 Google announced the Penguin update aimed at making search spamming harder. In 2012 they also rolled out tigher anchor text filters, an algorithm to penalize ad heavy sites, and launched a ranking factor based on how many valid DMCA requests there are against a site. The net effect of these new algorithms & other forms of obfuscation Google has introduced has been to make it much harder to rank independent websites owned by small companies, while making SEO easier for large companies that have significant usage signals associated with their websites. This has caused many SEO professionals to chase after servicing large corporate clients, as talent tends to follow the money. Yahoo! shut down their directory service in December of 2014. In 2014 Yahoo! signed a deal to be the default search provider in Mozilla Firefox inside the United States. They also did a distribution deal with Oracle, however those revenue gains were short lived & Yahoo kept losing share in online advertising & web search. Verizon announced they were acquiring the Yahoo! operating business in July of 2016 for $4.83 billion. While Yahoo! has lost much of their relevance, Bing has built a formidable Google search competitor. They have narrowed the revenue gap against Google & have built a profitable search business. Bing is strongest in the US market, while having a lower share outside of the US, in part due to Google driving aggressive installs of Google Chrome from Flash security updates & promoting Chrome across Google properties & the AdSense ad network. signing a deal with Apple to be the default web search service in Safari on iPhones, iPads & Mac computers. Social Search: Large social networks have significant reach and a ton of page views. 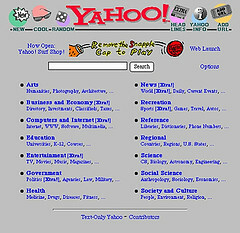 Many years ago Yahoo! wass rumored to express interest in buying social network Facebook nearly a billion dollars. Yahoo! has already bought social picture site Flickr and social bookmarking site Del.icio.us. 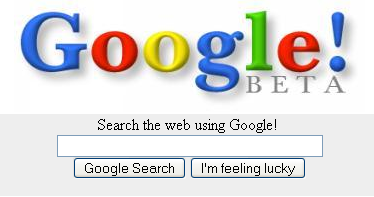 In August of 2006 Google signed a 3 year $900 million contract to provide search and advertising on MySpace. Some early search pioneers have tried to reboot search, but most these efforts have failed to gain a sustainable marketshare. Cuil was heavily hyped but quickly bust. Blekko launched with less hype & lasted longer, but ultimately sold to IBM. Gigablast was founded in 2000 by Matt Wells. They are an open source search engine which has quietly existed for nearly 2 decades. Gabriel Weinberg founded DuckDuckGo in 2008. It leverages the core Bing index but differentiates through the search interface & result features. They have done a great job of consistently growing off a small base & is popular with many web developers in part for their search privacy features & lack of result personalization. Some foreign markets have dominant local search services. Yandex is big in Russia. Baidu leads China. Naver is popular in South Korea. In early 2017 the Wall Street Journal opted out of Google's first-click free program. In turn they saw a 44% decline in organic search traffic & the WSJ saw a fourfold increase in the rate of visitors converting to paying subscribers. In 2004 search engines in the United States stopped running ads for online casinos. In 2009 a US federal government sting operation busted Google for running ads promoting the illegal sale of steroids. The Chinese search engine Baidu faced domestic regulatory scrutiny after public outrage in response to a kid with cancer dying & blaming his death on a bogus medical procedure marketed via Baidu ads. The impact on Baidu ad sales was major, driving a year over year decline in spite of rapid growth in web usage inside China. Baidu was also investigated for running stealth gambling ads at night. In 2016 Google stopped running payday loan ads in the United States. After the AOL data leak fiasco & news of the NSA spying program most major search engines began encrypting user searches with secured search sessions. DuckDuckGo took things one step further by promising not to track or follow a user, or personalize search reuslts. Google aggressively tracks Android users & was also fined $22.5 million by the FTC for overriding privacy features in Apple's Safari web browser. On June 27, 2017 the European Commission fined Google €2.42 billion for breaching EU antitrust rules. The specific fine was for Google's preferential placement of their shopping search results & the European Commission is still investigating multiple other issues with Google including bundling defualt Android search placement. Publishing Rights: All search engines are fighting trying to gain the rights to index quality content. Some of the highest quality content is so expensive to create and market that there is not a business model for openly sharing it on the web. Worse yet, as more and more people get into web publishing the businesses that delay to get their content indexed will have lost authority and distribution the whole time they delayed. This, and the fear of disintermediation, are part of the reason there are so many lawsuits. Distribution: The more distribution you have the more profit you can use to leverage the ability to buy more content or make better content partnerships. Also more distribution means that you can potentially send more visitors (and thus profit) to a person who lets you index their content. More usage data may also help engines improve their relevancy algorithms. Ad Network Size & Efficiency: Efficient ad networks can afford to pay for more distribution, and thus help the search company gain more content and distribution. In order to try to lock users in search engines offer things like free email, news search, blogging platform, content hosting, office software, calendars, and feature rich toolbars. In some cases the software or service is not only free, but it is expensive to provide. For example, Google does not profit from Google news, but they had to pay the AP content licensing fees, and hosting Google Video can't be cheap. The end goal of search is to commoditize the value of as many brands and markets as possible to keep adding value to the search box. They want to commoditize the value of creating content and increase the value of spreading ideas, the value of attention, and the importance of conversion. As they make the network more and more efficient they can eat more and more of the profits, which was a large part of the reasoning behind Jakob Nielson's Search Engines as Leeches on the Web. Because search aims to gain distribution by virtually any means possible the search engines that can do the best job of branding and get people to believe most in their goals / ideals / ecosystem win. Search engines are fighting many ways on this front, but not all of them are even on the web. For example, search engines are trying to attract the smartest minds by sharing research. Google goes so far as offering free pizza! Google hires people to track webmaster feedback across the web. Matt Cutts frequently blogs about search and SEO because to him it is important for others to see search, SEO, and Google from his perspective. He offers free tips on Google Video in no small part because it was important for Google Video to beat out YouTube for Google to become the default video platform on the web. Once it was clear that Google lost the video battle to YouTube Google decided to buy them. Beyond just selling their company beliefs and ideology to get people excited about their field, acquire new workers, and get others to act in a way that benefits their business model search engines also provide APIs to make portions of their system open enough that they can leverage the free work of other smart, creative, and passionate people. Selling search as an ecosystem goes so far that Google puts out endless betas, allowing users to become unpaid testers and advocates of their products. Even if the other search engines matched Google on relevancy they still are losing the search war due to Google's willingness to take big risks, Google's brand strength, and how much better Google sells search as an ecosystem. Google wants to make content ad supported and freely accessible. On October 9, 2006, Google announced they were acquiring YouTube for $1.65 billion in stock. In March, 2007,Viacom sued Google / YouTube for $1 billion for copyright infringement. In 2007 Microsoft pushed against Google's market position calling Google a copyright infringer (for scanning books) and doing research stating that many of Google's blogspot hosted blogs are spam. In 2006 and 2007 numerous social bookmarking and decentralized news sites became popular. Del.icio.us, a popular social bookmarking site, was bought out by Yahoo. Digg.com features fresh news and other items of interest on their home page based on user votes. In 1992 TREC was launched to support research within the information retrieval community by providing the infrastructure necessary for large-scale evaluation of text retrieval methodologies. In addition to helping support the evolution of search they also create special tracks for vertical search and popular publishing models. For example, in 2006 they created a blog track. Past TREC publications are posted here. There are a number of other popular conferences covering information retrieval. Search Science lists a number of conferences on the right side of the Search Science blog. PubCon - hosted by Brett Tabke, the former owner of WebmasterWorld. who retired from his active role with the company on June 26, 2017. Many of the following have not been updated in years, or only cover a partial timeline of the search space, but as a collection they helped me out a lot. SearchEngineWatch is amazingly comprehensive if you piece together all of the articles Danny Sullivan has published. Archive.org - The Internet Archive Wayback Machine (especially useful to view old content if any resource links break). SearchEngineWatch - Danny Sullivan's site about search. Here are some important events from his first decade of writing about search. Where Are They Now? Search Engines We've Known & Loved - Danny Sullivan reflects on some of the search engines that have passed away. Google Corporate History - The history of Google, from 1995 to today. Shmula - timeline of Google, Microsoft, and Yahoo! acquisitions. SEO Consultants - Offers a timeline of important events associated with the history of search and the internet. Up to date through 2006. Story about the foundation and history of Ask - by Kelli Anderson, through 2006. John Wiley & Sons - by Wes Sonnenreich, a history of search through 1997. Google Blogoscope - by Philipp Lessen, a history of search through 2003. CBS MarketWatch [PDF] - colored timeline of search through 2004. Search Engines: Evolution & Revolution - by Glen Farrelly, covers 1990 through 1999. 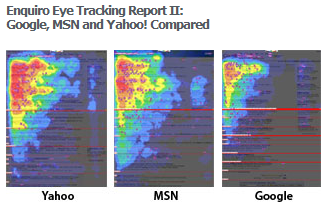 Enquiro Eye Tracking Study - report of how humans interact with search results. History of the Internet, Internet for Historians (and just about everyone else) - Richard T. Griffith's article about the history of the web, from 1991 to 2001. Searching on the Web - Link to a page that is no longer active, but which content still exists on the wonderful Archive.org. Contents are from 1960's to 2000. 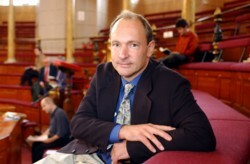 W3C: A Little History of the World Wide Web - by Robert Cailliau, from 1945 to 1995 . Search History Page from Sympatico - Link to a page that is no longer active, but which content still exists on the wonderful Archive.org. Contents are from 1990 to 2003. Hobbes' Internet Timeline - by Robert H'obbes' Zakon, from 1957 through 2004. A Brief History of the Internet - by Walt Howe, from 1960 through 2006. ISOC Internet Histories - list of various histories of the Internet. SEO and Social Media: Can You Be Number One? The Search - John Battelle's book about the history of search and how search intersects with media and culture. The Google Story - David Vise's book about Google. In The Plex - Steven Levy's book about Google.